One of Malaysia’s key attractions is its extreme contrasts which further add to this theme of ‘diversity’. 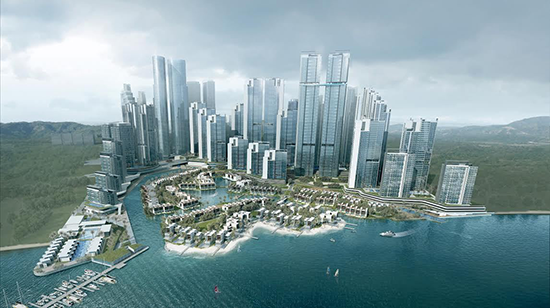 Towering skyscrapers look down upon wooden houses built on stilts while five-star hotels sit just metres away from ancient reefs. Rugged mountains reach dramatically for the sky while their rain forest-clad slopes sweep down to floodplains teeming with forest life. Cool highland hideaways roll down to warm, sandy beaches and rich, humid mangroves. For the perfect holiday full of surprises, the time is now, the place is Malaysia. 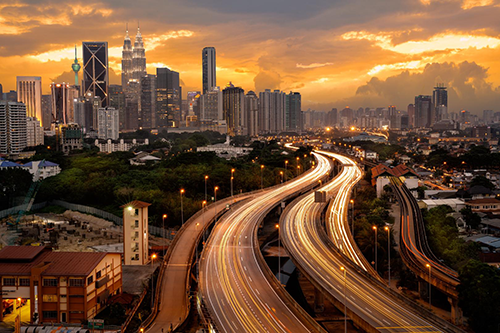 Kuala Lumpur (or KL, as it is commonly known) is, more often than not, a traveller's point of entry to Malaysia. As the capital, it is the most modern and developed city in the country, with contemporary high-rises and world-class hotels, glitzy shopping malls, and local and international cuisine. The city began around 1857 as a small mining boom town spawned by the Industrial Revolution’s hunger for raw materials. Fuelled by tin mining in the nearby Klang River Valley, the town grew under the business interests of three officials: a local Malay ruler, a British resident, and a Chinese headman (Kapitan China). The industry and village attracted Chinese labourers, Malays from nearby villages, and Indian immigrants who followed the British. As the town grew, colonial buildings that housed local administrative offices were erected around Merdeka Square, bounded by Jalan Sultan Hishamuddin and Jalan Kuching. The town, and later the city, spread outward from this centre. Life in 19th-century KL had many difficult starts and stops — tin was subject to price fluctuations, the Chinese were involved in clan “wars,” and, worst of all, malaria was killing thousands. Still, in the late 1800, KL overcame its hurdles to become the capital of the state and eventually of the Federated Malay States. 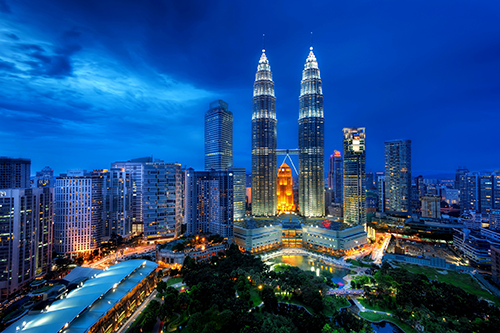 Its development continued to accelerate, with a brief setback during the Japanese World War II occupation, until 1957, when newly independent Malaysia declared Kuala Lumpur its national capital. Batu Caves is one of Malaysia’s most famous tourist destinations. Every year hundreds of thousands of Hindu devotees congregate here for the colourful Thaipusam festival. Batu Caves is one of Malaysia’s most famous tourist destinations especially for the colourful Thaipusam festival. This attracts up to 800,000 devotees and spectators; the highlight is seeing devotees in a trance carry kavadi, a metal frame attached to the body. Sun way Lagoon is an amusement park in Petaling Jaya, Malaysia. It was officially opened by the Prime Minister Tun Mahathir bin Mohammad on April 29, 1993. It features rides in both the water park and the adjacent dry park. 5 different theme parks in 1 amazing destination. Sun way Lagoon is Asia’s Best Attraction. This multi-award winning attraction is recognised by the International Association of Amusement Parks and Attractions (IAAPA) as Asia’s Best Attraction for four consecutive years (2007 – 2010). Whether you are looking to cool down in the tropical sun @ Asia’s Best Water Park, looking for a hair-raising experience @ Scream Park, enjoying the thrilling rides @ Amusement Park, getting your adrenaline pumping @ Extreme Park, or getting up close and personal with your favourite animals @ Wildlife Park, there is something for all @ Sun way Lagoon. Sun way Lagoon is also home to the regions hottest events and concerts. Glitz and glamour, or cool and happening, Sun way Lagoon has hosted the most sought after events in the region like the MTV World Stage (2009, 2010 & 2012), Arthur's Day Celebration and the Quicksilver Revolution Tour. With more than 80 rides and attractions, and within 15 minutes from Kuala Lumpur, Sun way Lagoon is the ultimate destination you’ll have to visit when you’re in town!